Beth is a sweet-natured child who appears to have been well looked after. But it isn't long before Cathy begins to have concerns that the relationship between Beth and her father is not as it should be. Little Beth, aged 7, has been brought up by her father Derek after her mother left when she was a toddler. When Derek is suddenly admitted to hospital with psychiatric problems Beth is taken into care and arrives at Cathy's. 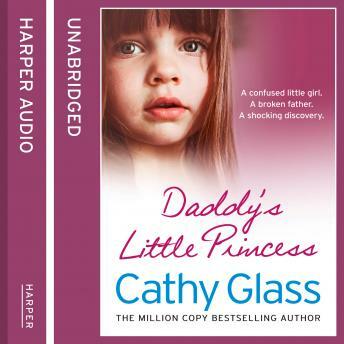 Beth and her father clearly love each other very much and Derek spoils his daughter, treating her like a princess, but there is something bothering Cathy, something she can't quite put her finger on. Meanwhile Cathy's husband is working away a lot and coming home less at weekends. Then, suddenly, everything changes. Events take a dramatic turn for both Beth and Cathy and her family; as Cathy strives to pick up the pieces all their lives are changed forever.